Our Stylists are here for you. Whether you’re just refreshing staples you already know you like or if you’re still trying to figure out what you want—our goal is for you to get the best Fix every time. We asked a few of our Stylists to put together a little cheat-sheet for you with tips on how to utilize them to the utmost and get you on your way to receiving exactly what you want (even if you don’t know what you want yet). Read on for 10 easy ways to help your Stylist get you the best Fix. Need some options? Give us a follow on our social channels like Instagram and Facebook for an instant idea on what to wear. Plus, it might get the wheels turning on what you’d want to see in your next Fix. All you have to do is let us know (more on that later). Need something to do on the bus? How about during commercial break? Sit back and take Style Shuffle for a spin, it’s our very own feature where we show your products and you tell us what you like and don’t like. So, the more you play, the more we get to know your style, so that your Fixes get better and better every time. Just log in to your profile or open the app and start liking what you see. Just like your closet, keep your Style Profile up to date. Did you go up or down in pants size? Let us know by easily updating your Style Profile if and when anything changes about you, your size and your style. We recommend refreshing this every time a new season rolls around—that way your closet and your profile are in sync. With a Fix Note Request, that is. It’s no secret, but consider it your secret weapon. Whether you’re packing for a trip, prepping for an interview or building a whole new wardrobe, we want to know it all. Need a specific type of shirt? We’re all ears. Don’t know what you want but have an idea of what you want to convey? Yep, this is the place to share that. Each Fix is a new chance at getting to know you better, and that’s why feedback is so important. We want to know how those pants fit, why the button-up didn’t work, why those shorts you kept are now a favorite—anything you can tell us will help us learn from your experience and provide you with better, more personalized Fixes! Did you know that we leave you a note in every Fix? This is where your personal Stylist shares the why and the how of the choices we’re sending you. We might suggest different pairings—including with items you’ve kept before—or provide you with valuable tidbits of information you won’t want to overlook, such as the moisture-wicking properties in that performance tee. You might be surprised. Sometimes, a shirt just happens to look better on than it does in the box. 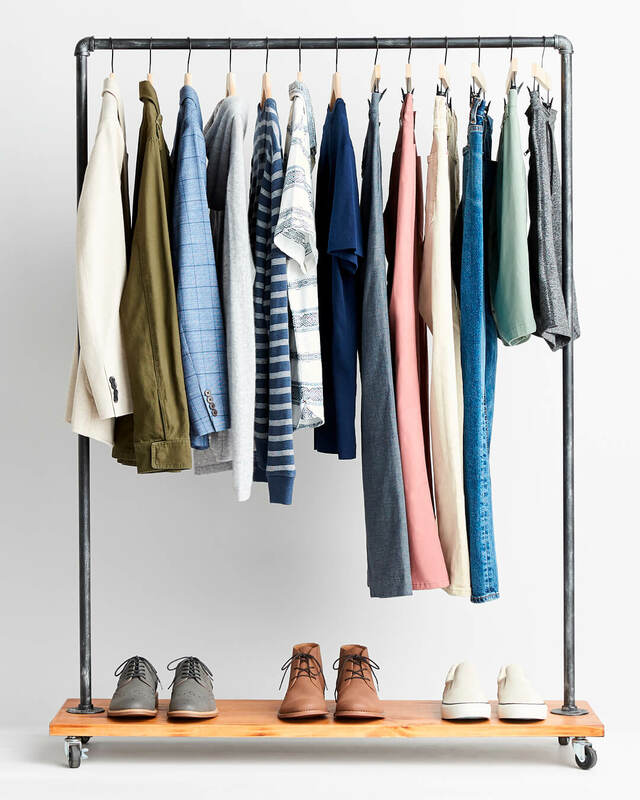 Plus, with your Stylist working on nailing your fit over time, it’s really helpful to know how something fits even if you didn’t like it enough to keep it (remember, every bit of feedback counts). So you just received a dapper pair of shoes but you’re not sure how to wear them. Before you slip them back into that return bag, head over to our Ask A Stylist feature on the Stitch Fix blog and ask away. You’ll get personal styling advice from another Stylist, and you might just end up loving all the possible ways you can rock your new kicks. It’s often said that the best things happen out of your comfort zone, and the same is true for your style. We know many of you stick to your blues and grays and think plaid is the only pattern for you, but new colors and prints can open your closet to a whole world of possibilities. Start small with a plaid shirt in a color you haven’t worn before or try a small conversational print that reads as dots from far away. Start small with a plaid shirt in a color you haven’t worn before or try a small conversational print that reads as dots from far away. Let your Stylist know that you’re open to a piece or two that pushes your boundaries, and you might be surprised at how much you like your new options. Ok, so this one might not influence your Stylist when it comes to styling you, but spreading the word about your experience is a win-win. For every friend that signs up, you get a referral credit. The more referrals, the more credit, the more Fixes. Win x3. And now we style men, women, and kids, so go ahead, shout it from the rooftop! Ready to give one or all of these tips a try? Schedule a Fix to get to know your Stylist better. Your closet will thank you.